The world of all-natural beauty is becoming popular amongst big-name brands and their drugstore counterparts. While there seems to be less products on the market with strange additives and fillers, many are still tested on animals and include animal by-products. Thankfully, I have found a few brands that hold animal compassion and cruelty-free living close to their hearts (and mission statements). As someone who doesn't wear a lot of makeup, I always make sure that the products I do use when I wear makeup have minimal ingredients so that my skin doesn't freak out and react negatively to my pores being blocked more than usual. But just as important as quality makeup, is quality skincare. In addition to the makeup I use, I ensure that the spa products I use on my face are gentle on my complexion and do the job (whether it be removing makeup, hydrating, or overall cleansing). At the moment, my two favorite brands are Pacifica Beauty and Tarte. Pacifica offers 100 percent all-natural and vegan skincare and makeup, while Tarte offers 100 percent cruelty-free products free of parabens, phthalates, synthetic fragrances, gluten, and other heinous ingredients. 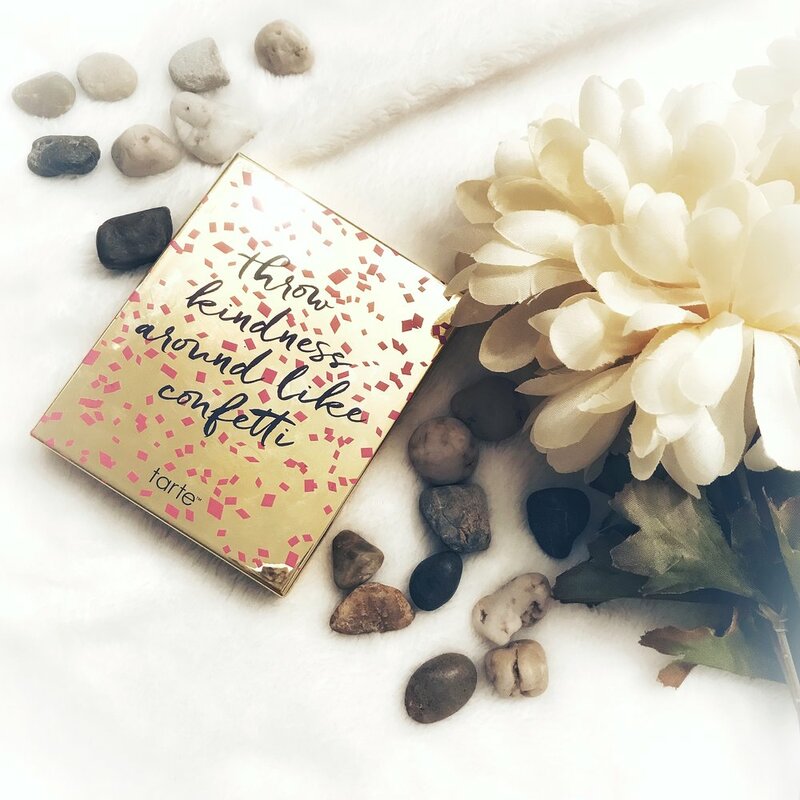 Though the entire Tarte collection isn't vegan, there are several products that are! Since wearing little to no makeup is something new for me (I've become lazy and unmotivated, honestly), I decided to write this post on my update skincare and makeup routine! I hope you all enjoy, and if you have any questions feel free to leave me a comment on this post! XO. If you don't wash your face at least once a day--what are you doing?! Cleansing is key to a healthy complexion as it removes the grease that had settled on your skin overnight, and it rids of any pollution or build-up on your face from during the day. Personally, I wash my face twice a day: once in the morning, and once at night. 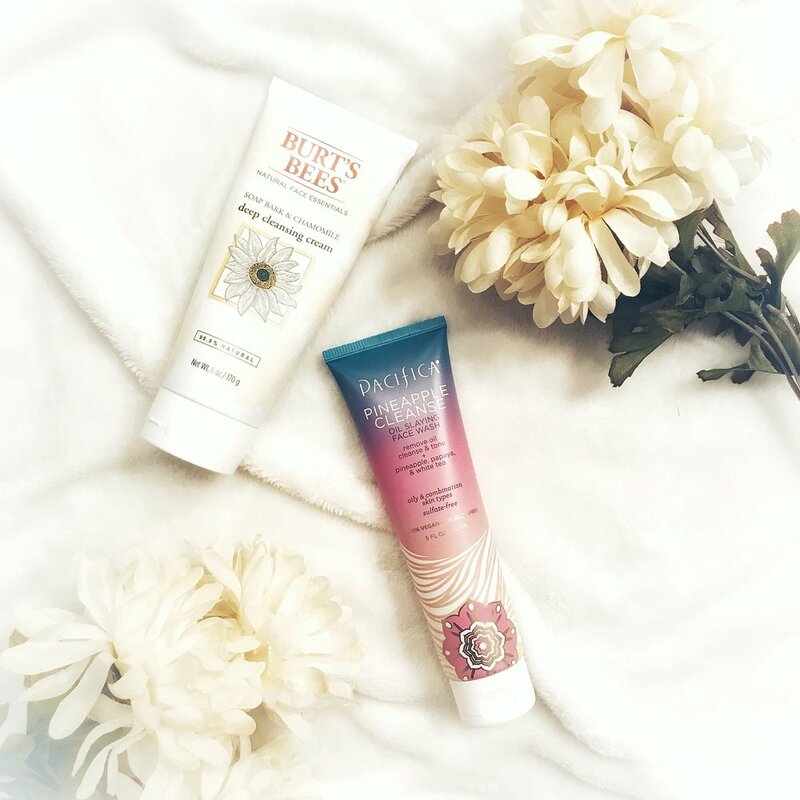 The two face cleansers that I have been using lately are the Burt's Bees Deep Cleansing Cream and the Pacifica Beauty's Pineapple Cleanse. 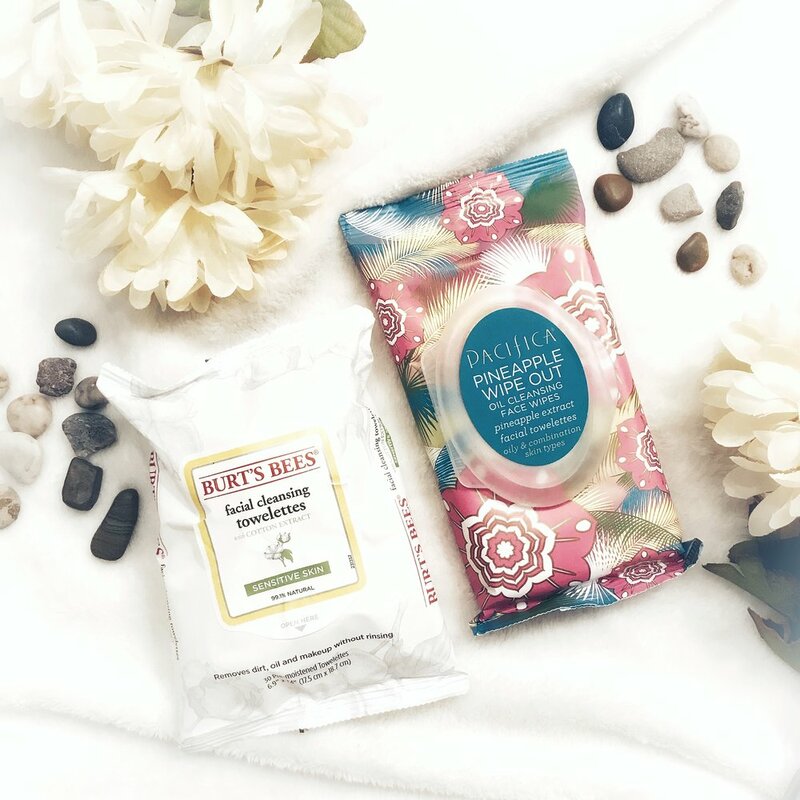 The Burt's Bees product is great if you want a gentler clean (I use this one in the A.M.), and the Pacifica wash is perfect for after the gym and right before bed to remove sweat, makeup, dirt, etc. On the (extremely) rare occasion that I'm either wearing a decent amount of makeup, or am coming home late from a night out, I love having makeup removing wipes on hand. Both of these products from Burt's Bees and Pacifica work amazing to remove any makeup and grease from your skin. The best part? You don't have to rinse after use! A pro-tip that I learned from my mom is to rip the wipes in half to get more use out of them! I found that unless I'm wearing a lot of makeup, I really only need half of the wipe. If you follow me on Instagram (if not, you should be) then you know how obsessed I am with drinking water. Along with hydrating your body, it's also imperative to quench your skin--because yes, your skin is also thirsty! Anytime I wash my face, I immediately hydrate afterwards. 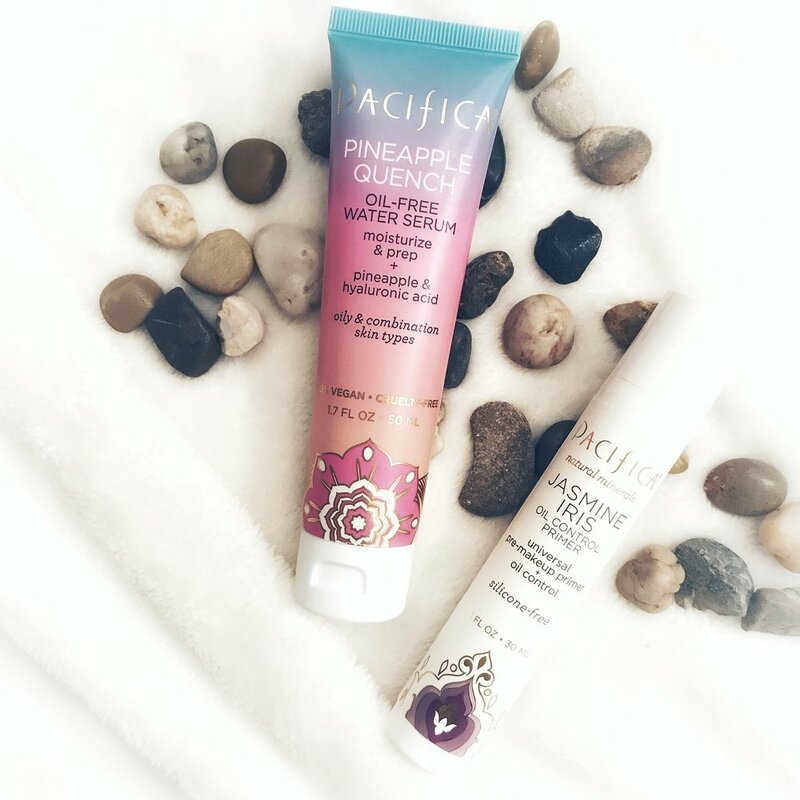 My favorite moisturizer has been Pacifica Beauty's Pineapple Quench. I had seen "hyaluronic acid" all over beauty magazines and Instagram, yet I never knew what it did! 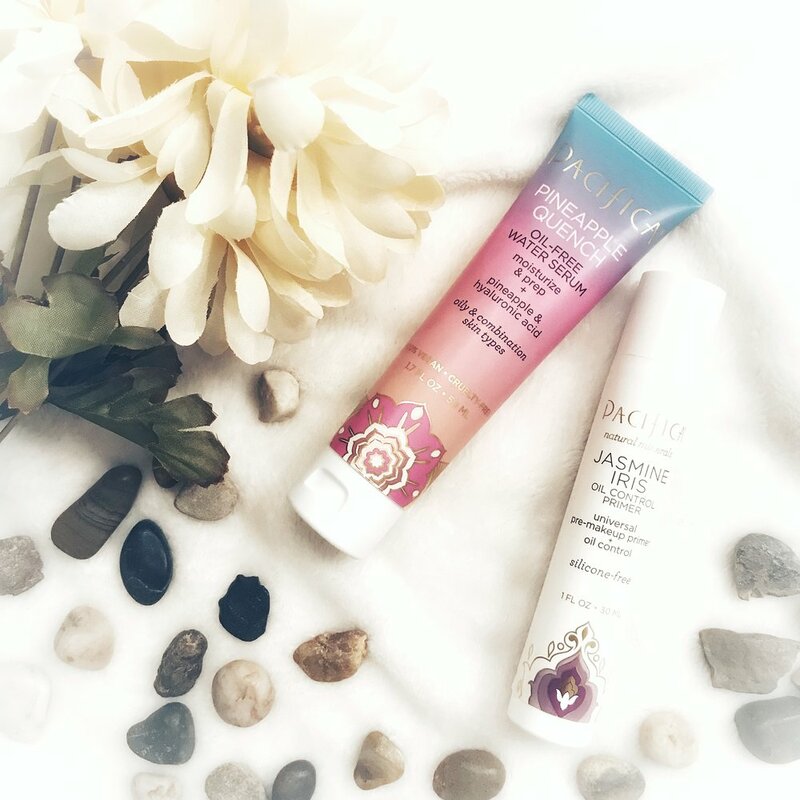 Thankfully, someone gave me the scoop on Instagram and apparently it's a miracle worker for dry skin--and she wasn't lying! My face has gone from dry to smooth and fresh in a matter of days of using this product. It's totally worth the hype. In addition to moisturizing your skin, priming it before any sort of makeup application is super important. Even on the days where I'm just wearing powder to ensure my skin doesn't look greasy, I always prime beforehand. Think of primer as a sealant, it blocks makeup and other gunk from seeping into your pores. Additionally, primer also creates a smooth base for applying makeup so your handiwork looks extra good! Face masking is definitely something that I look forward to doing on the weekends--it's a treat for myself. But, I also feel like the weekend is the perfect time to use a face mask because your skin has been exposed to all of the "elements" during the week, which makes it a great time to clear everything heinous out of your pores. For Christmas, my mom bought be a variety pack of Yes To's face sheet masks and mud masks. These masks are amazing because they make your skin feel smooth and super clean after using. As I mentioned at the beginning of this post, I hardly wear a full face of makeup. But, when I do, I always use products that aren't super thick and still make my face look dewy and natural. I will always choose a BB or CC cream over a regular foundation, because they not only even out your skin tone and provide coverage to any discoloration/blemishes, but they are also filled with skincare. For the days I want a little more coverage, I will use Tarte's BB Cream. This stuff is amazing, and a little bit goes a long way! I apply it by dotting the product all over my face, distributing the product everywhere with a foundation brush, and then making sure everything is even with a damp Beauty Blender. For the days where I want to look refreshed, I love using Pacifica Beauty's CC Cream because it's not as heavy as Tarte's but still provides a bit of coverage and skincare without over or under-doing it. If I had to choose between foundation/BB creams or concealer, I would 100 percent choose concealer. I have really terrible dark circles under my eyes, and the only way to actually make me look more awake (besides getting an adequate 8 hours of sleep, which rarely happens) is by wearing concealer. I have struggled for years to find a product that doesn't set in the creases under my eyes, and after much trial-and-error I found two that do the trick! Amazing Cosmetics is known for their concealers, and while I own all three of their concealers, their Perfection Stick is my favorite. The product goes on creamy and leaves a matte, yet natural finish. The NYX product is great when I really need to cover my dark circles, but most of the time I just stick with my Perfection Stick. 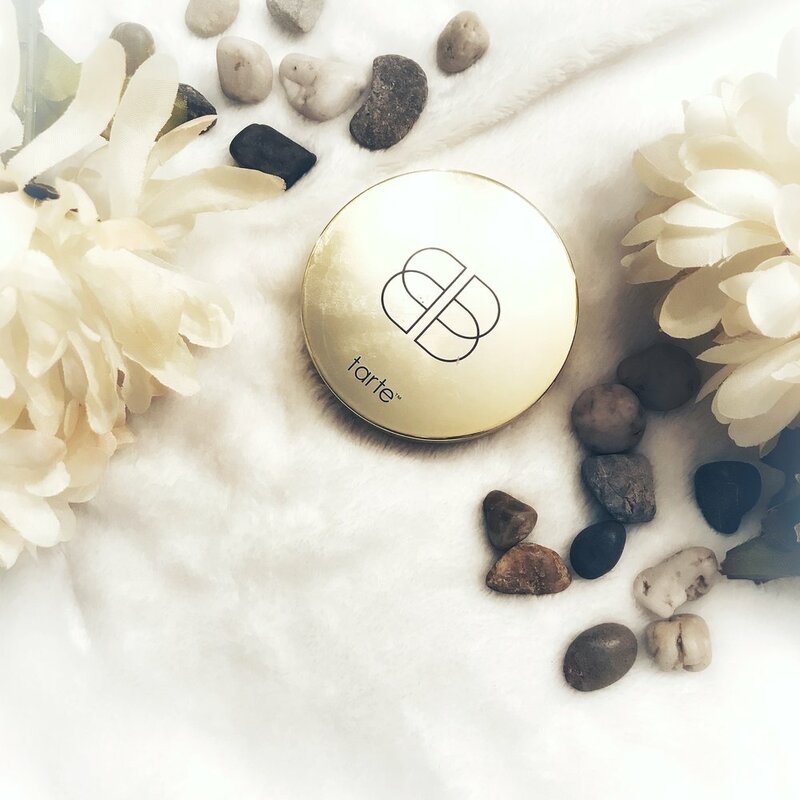 Like I mentioned above, there are days where I don't want to wear heavy cream-based products on my face, which is why I love Tarte's BB Powder Foundation. 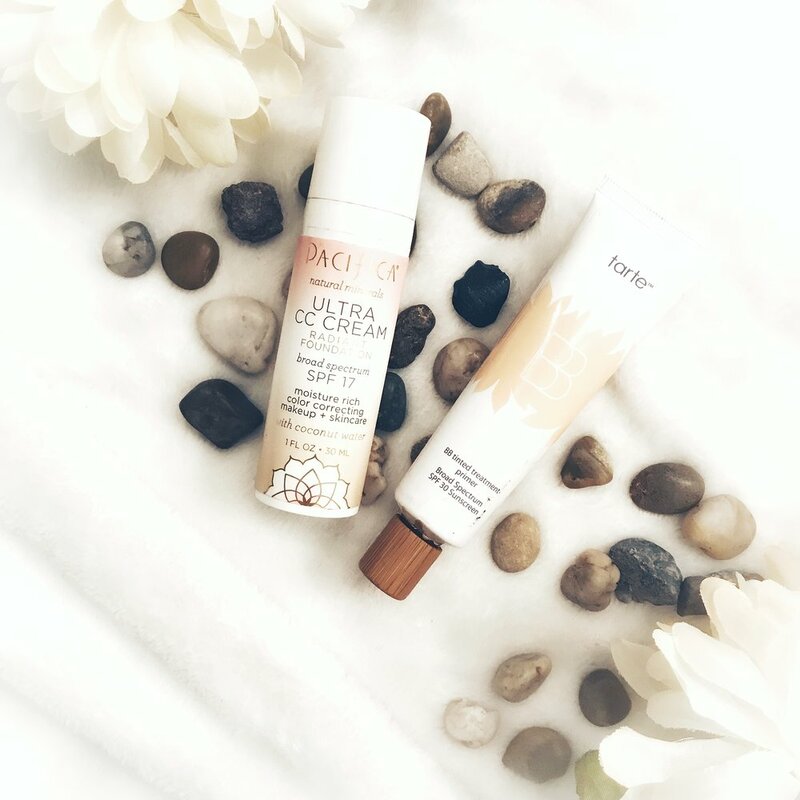 Yes, this stuff is classified as a foundation, but it looks super natural and is very easy to apply. After moisturizing and priming my skin, I take a large flat-top brush and work the product into my complexion in a circular motion. This foundation is great if you look tired (Please tell me I'm not alone in this!) and want a little something over your whole face. Even when I'm just wearing a moisturizer and primer, I always set my skin with a translucent powder to prevent a shiny face. Amazing Cosmetics' setting powder is one of my favorites that I've ever used because unlike other brands that are filled with talc (Talc actually draws out oils from your skin), this product actually makes my skin look natural and matte--no greasiness! I apply, I take a fluffy powder brush and set my entire face. If I'm wearing makeup, I especially focus on applying the product under my eyes and in my T-zone to prevent creasing and oiliness. Cut crease? What's that?! A smoky eye? Hmm, no thanks. When it comes to eye makeup, I'm super basic. I used to be the queen of cat eyeliner, but recently, I have turned towards a very neutral lid with luscious lashes. Tarte's Young, Wild, and Free palette was limited edition a last year, and I picked it up because it has all of the colors I would normally use--no weird hot pinks or greens included! Typically, I apply the shimmery white shade all over my lid, and lightly smudge the burnt red or light brown shade under my lower lashes. While the Young, Wild, and Free palette is no longer available, I have listed some really close ones at the bottom of this section. I finish off my eyes by curling my lashes and applying two coats of mascara to both my upper and lower lashes! I'm not someone who loves spider-y looking eyes, so I always make sure to wiggle the brush when applying to prevent clumpy lashes (Clumpy lashes are not cute). What's your everyday skincare and makeup routine? What are your favorite vegan and cruelty-free products to use? I'm always looking for new brands to try, so leave me a comment saying what your fave brand is!